Wallboard Workers' Comp Savings and Payroll Services through Our PEO Programs. Great savings on work comp insurance, with little to no money down. Outsourced online payroll, with free direct deposit, wage garnishments, tax filings and more. Access to a team of HR professionals to manage unemployment claims, governmental compliance issues and more. Employee benefits, like group health insurance, dental and vision. How Do PEO Services Work? 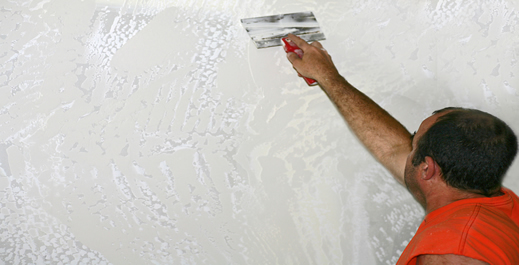 Drywall companies utilize PEO services to unload administrative work, so they can focus on sales, service and growth. The employee leasing provider becomes your back office partner, managing tasks such as payroll, tax reporting, e-verify, safety help and more - all for less than you could do on your own. How Much Do PEO Companies Charge? Most PEO companies charge a percentage of payroll for their administrative fee and that's averages between 2-4%. An example would be an annual payroll of $200k, with a 3% admin fee being $6k for services throughout the year. While there are a few PEOs that charge on a per check fee, or per employee per month (PEPM) schedule - the overall costs averages are still similar to a percentage of payroll. The costs will vary by company and are based on the amount of work each expects to perform. For example, a restaurant with historically high turnover can equate to more W2 filings, or possibly a larger amount of unemployment claims filed, resulting in a higher administrative fee. Each employee leasing and PEO company is unique, just like any business. Their service and benefit offerings vary dramatically, as do the industry and employee size groups they work with. While some specialize in the trucking, or medical industries, others focus on construction operations. We've done the vetting and research, since 2001. Understanding that the right PEO provider fit may vary for a five or fifty employee group, is how we save you time and money. How much you'll save depends on your current situation, so find out today – quotes and information are free!